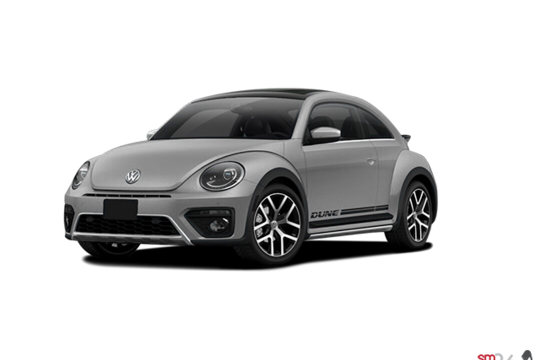 New 2019 Volkswagen Beetle DUNE for Sale in Fredericton VW, New Brunswick. 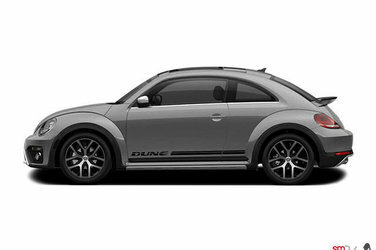 with style, super sporty, and a real adrenaline rush. Passengers shriek with delight. Onlookers point and smile adoringly. And you? You’re enjoying the drive of a lifetime. 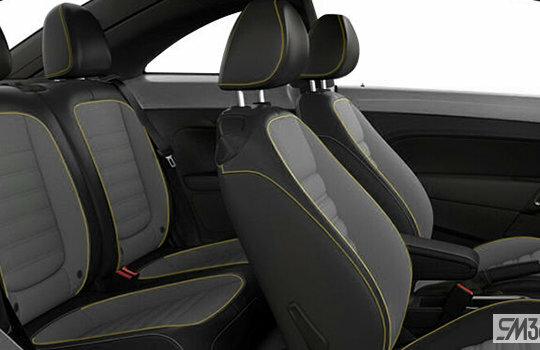 1st row LCD monitor - 6.33"
Interior Protection Package: Monster mats - Beetle Logo - Black and MuddyBuddy - Trunk Liner - Black. 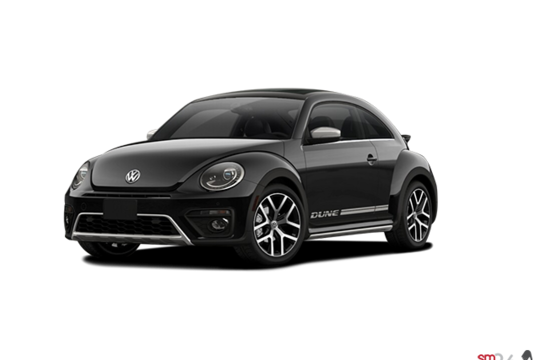 Total Protection Package: Montster Mats - Beetle Logo Black, MuddyBuddy - Trunk Liner Black, Splash Guards (Front) - Black, and Splash Guards (Rear) - Black. 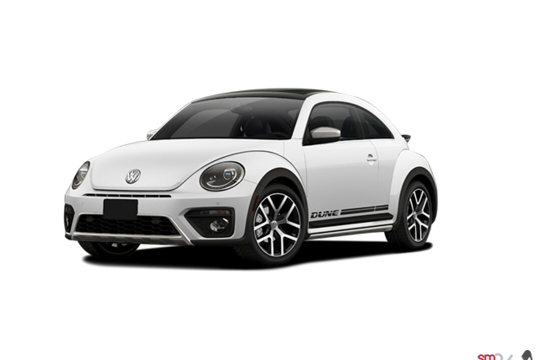 Sport Appearance Package: Hatch Top Spoiler - Primer, Door Sill Protection Trim with Beetle Logo - Stainless Steel, Sport Pedal Cap Set (Automatic) - Aluminum. 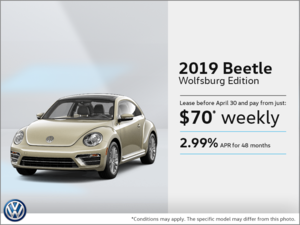 Want to try the 2019 Volkswagen Beetle DUNE? * Suggested retail price of the manufacturer. 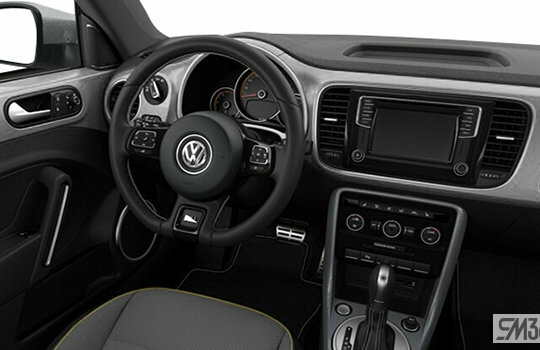 Taxes, freight, PDI, license, insurance, registration, levies and fees not included. Does not include current promotions. 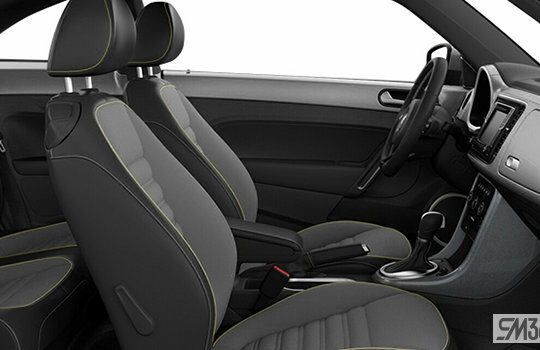 Ask online to know applicable specials.